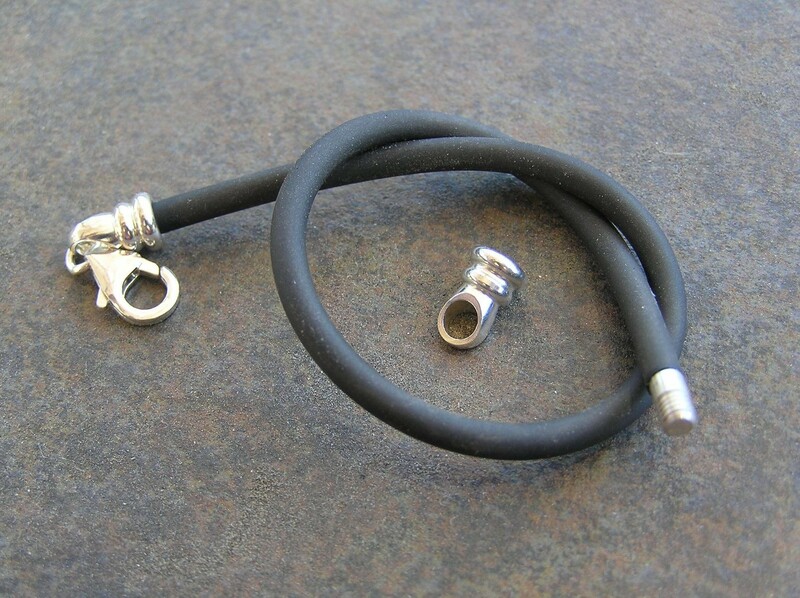 Rubber Bracelet for Pandora style charms 7.5 inches long for 3mm beads. Sterling silver clasp very nice quality charm bracelet. Made in Greece .